Flipper's / Rehabber's / Investor's dream!! SUPER LOCATION in SE Charlotte neighborhood!! Contemporary 3 BR/2 BA home just off Carmel Rd in upscale 28226 zip!! Just 6 miles to Southpark Mall. House has 1108 HF with an additional 1000 sq ft plumbed basement. 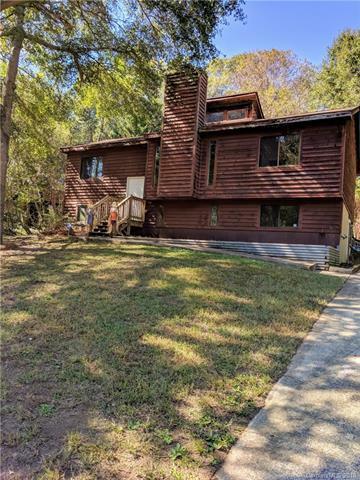 Wooded mountainous lot with deck off the back. Roof and HVAC only 7 yrs old. Home is being sold AS IS. CASH offers only. 2.5% com to buyer's agent.